Free zones in Dubai are encompassing all types of businesses. Dubai has not only highest number of free zones in UAE but several of these free zones are designed for growth of a specific industry. 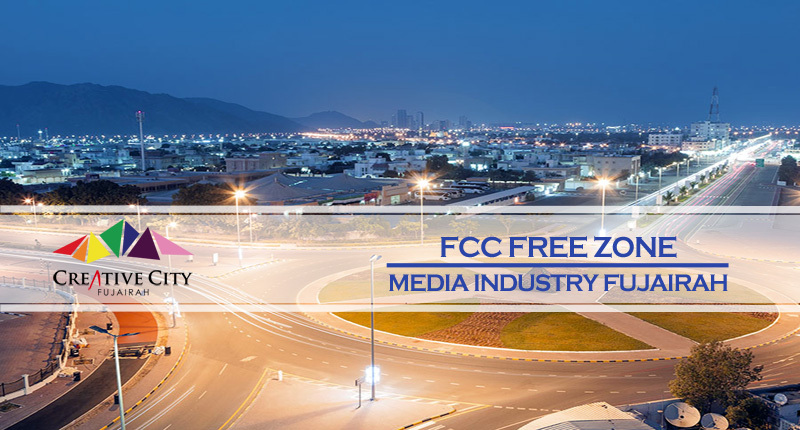 One such free zone is Dubai Media City (DMC) that is designated for media industry. But DMC is not along in UAE for providing such facility to media and related industry. There are other emirates also trying to challenge Dubai in this field. One such important free zone is Creative City or Fujairah Creative City (FCC) that is located in Fujairah. Fujairah is also among most of other emirates of UAE that have changed their priorities and moving towards diversification of economy. An important step in this regard is the construction of free zones to increase business activity in the emirate. Fujairah Creative City was established in 2007 and since then it has achieved lot of success. As this free zone is specific to media industry, so the licenses are also available accordingly. FCC has its own rules and regulations to establish company in UAE and these rules are quite lenient. Persons with valid UAE entry stamp or a residence visa are allowed to setup a company in this designated free zone. It usually takes 2 to 3 days for registration of company in FCC. This free zone is ideal for media houses have their own rules and related businesses including regional and international radio and TV broadcast. Despite the presence of such media-related free zones in other emirates of UAE, the Creative Zone has its own importance due to number of facilities it provides to companies. It is the reason that many companies are favoring FCC instead of other free zones and their numbers are increasing with the passage of time. Getting registration in FCC is not very difficult. If you want to avoid any complication in the process, then you can contact Riz & Mona Consultancy via our WhatsApp # 971-56-9971225. We provide best consultation services for those establishing their companies in Creative City or any other free zone in Fujairah and other emirates of UAE.